The Good: Action, action, and even more action galore. The jaw dropping action will have you glued to the screen the entire time. The fight scenes look so authentic, that you may question whether they even use stuntmen or special affects. There is also a lot more blood and gore compared to the previous film, The Raid. This time around we're given a few more special characters that will certainly peek your interest. (Hammer Girl, Bat boy, etc) Lastly, there are some great and unique camera angles that director Gareth Evans shoots masterfully. The Bad: In the previous film, the story line was kept very basic with minor twists. The plot does expand and go much deeper, however it simply gets over shadowed by the great fight scenes. There are some foreign concepts that may get "lost in translation" when it comes to an American audience watching a foreign based themes. Finally, the length of this film is rather long for an action film. (2.5 hrs) While the action more than makes up for it, the extra plot details could have been condensed a bit more to help the movie not drag in many parts. The Reason: This movie, I believe managed to surpass its predecessor by far. The action is memorable and exhilarating to watch. It finally gives action lovers what they want in a martial arts based film. I would definitely recommend this as a great rental. 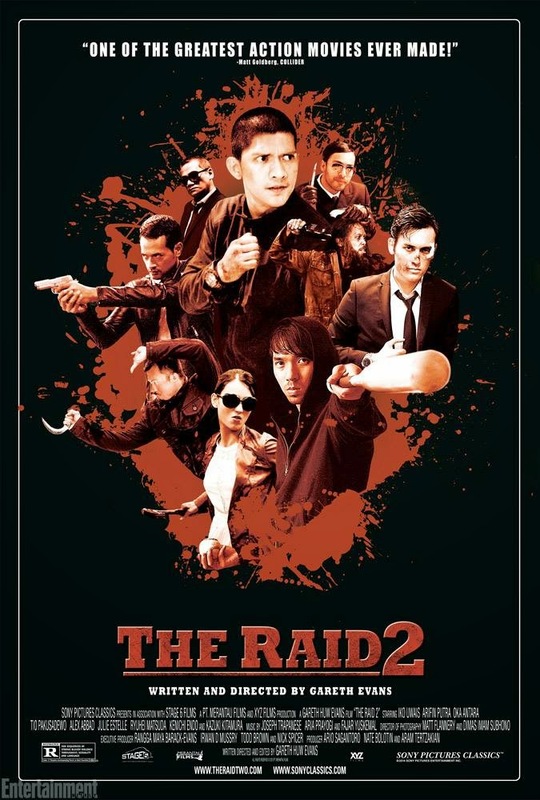 If you're interested in the story line, then you may have to watch the The Raid part 1 only because the events take place right after. Besides that, I'm positive many will enjoy this film. The Good: You'll love the characters and their unique backgrounds. 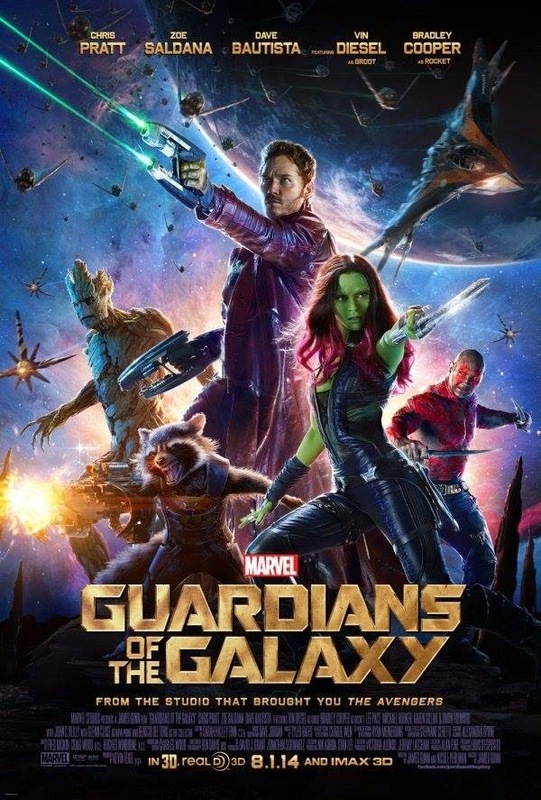 Director James Gunn did a successful job at developing them, not only individually but as a group as well. Chris Pratt is going to charm audiences very similarly to how Robert Downey Jr charmed the world in his Iron Man debut. Oh and get ready to become a fan of that big tree guy "Groot". Also, there is plenty of unexpected comedy throughout the movie. Don't be surprised if you catch yourself actually laughing out loud a few times. The special effects were so good that the only way I could describe it would be as a "visually orgasmic, roller coaster ride for your eyeballs". To go along with that, the music assemble throughout the film is just great. Plenty of classic 80's songs for everyone! The 3D was done masterfully to the point where it may make you fall in love with 3D movies again. (You can tell when the 3D is bad while watching the movie you forget you're watching it in 3D. Not the case here.) Lastly, the storyline is just good enough where it's not overly complex, but it also has plenty of room to be expanded on in future sequels. The Reason: To describe this movie as a whole I'd probably say it's a fun, comedy, action, adventure. The interesting thing about this film is that they stuck to the same formula that the Avengers did. Chris Pratt = Robert Downey, Zoe Saldana = Scarlett Johansson, Groot = The Incredible Hulk , Batista = Thor, etc. So if you enjoyed The Avengers movie, you'll more than likely enjoy this one as well. Luckily for most people, you do not have to be a comic book fan to enjoy this movie. Anyone can just walk right in and enjoy the movie without any prior knowledge of the characters or story line. Now, I don't do it often, but I absolutely advise that you watch the 3D version, and even the IMAX 3D is worth the money. Heads up, there is a scene at the very very end of the credits, but keep your expectations low about it. It's not a tie in for future movies, just a little more nostalgic humor for Marvel fans. This is an absolute must watch by all means.